I did an entire semester on wire in college. 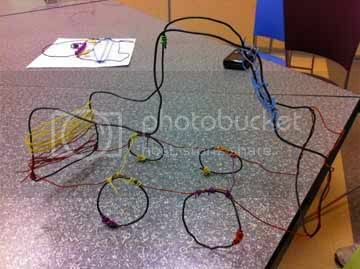 Back then I worked for weeks to create a wire hairdryer. This brought back a lot of memories for me. 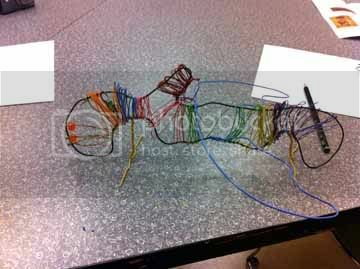 There are really so many things you can create simply by bending wire! 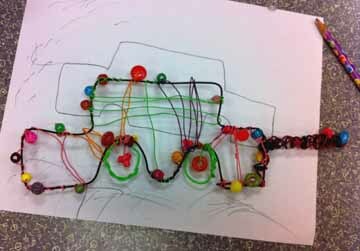 Using the Jonathan Hils exhibition at the OKCMOA as inspiration, children of all ages used wire and beads to create their own car creations. First I had the children draw their template on paper. 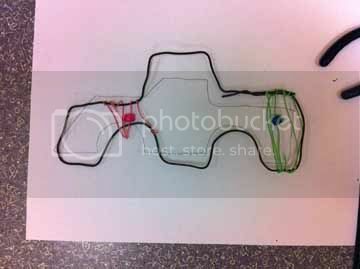 Then using a heavy gauge of steel wire (which is actually quite pliable with hands) they began to bend the steel to create the outline for their car. 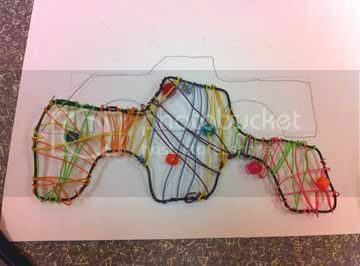 At this point small gauge wire of different colors is woven and wrapped around to create a grid pattern. 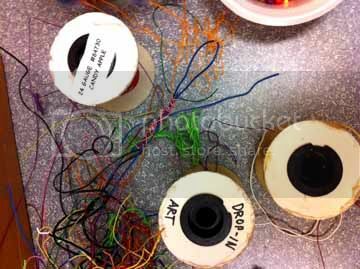 Beads were added for fun if the artist wanted to use them. CAUTION: wire can be sharp. Also, be wary of where the end of your wire is. Pretty cars! Nice to see how they filled out the contour. 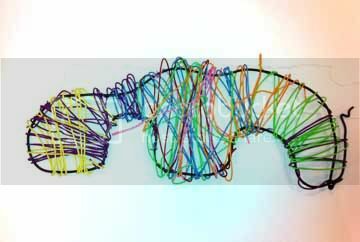 what an awesome project... i love sculptural projects for kids... three dimensional demands a different creating experience. Hello! I was thrilled to have stumbled upon your blog. 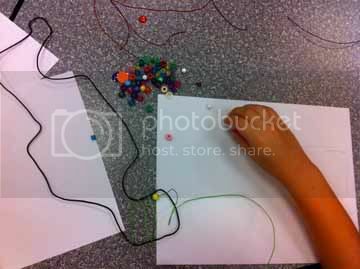 I am an assistant director at a preschool in TX and will be presenting at a national conference (NAEYC) for early childhood educators on the subject of art and would like to use some of your photos in my slideshow presentation. If you could let me know if that is okay as soon as possible, I would really appreciate it. Thanks! Thank you so much for the courtesy of asking to use the photos. With credit you have my full permission. I am glad you found my blog and hope you return! Good luck on your presentation. Thanks again! Growing up in Zimbabwe the local people would sell wire cars on the side of the road, the wheels would turn and there was a long wire handle to the steering wheel so you could walk with it and steer it,, the wheels moved with the steering,, they were amazing. 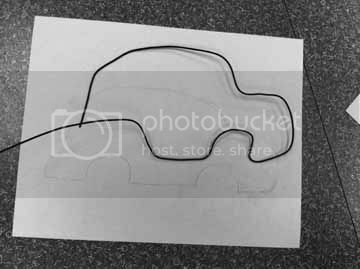 I will try your little sculptors I know my boys would love it because they are always cutting car and truck shapes out of paper. 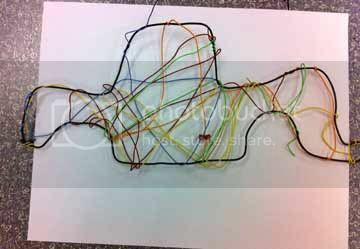 I made a little wire car with my children and I wanted to post this link for you so you could see the cars the local people make in Zimbabwe, the ones my brother and I enjoyed playing with. 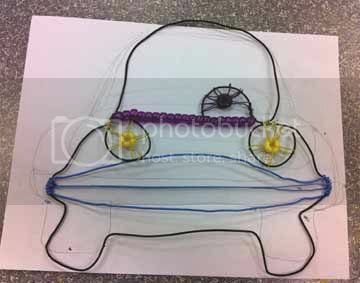 Its extremely wonderful and nice "Wire Sculpture Cars". Nice drawing. It is looking so beautiful.